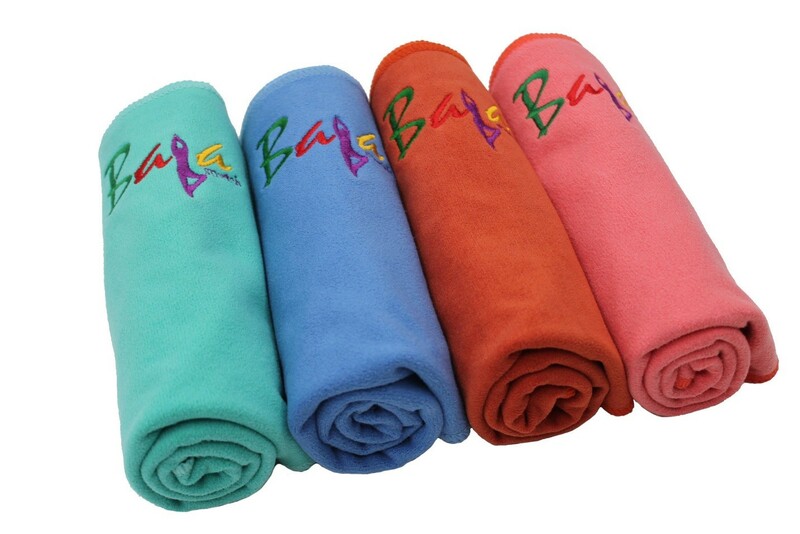 The Baja Stretch nonslip Yoga Mat Towel is made from a special SGS tested ECO microfiber blend that is Extra Thick and Super Absorbent. Our Premium Yoga Mat Towel is designed for use with all forms of Yoga and can absorb up to 5X more fluid than standard Yoga towels, creating a hygienic slip resistant surface. The nonslip Yoga Mat Towel is manufactured with 100% Microfiber (80% polyester / 20% nylon). Towels are easy to wash and dry, and will fit mats up to 72” in length. All dyes are AZO, lead, and heavy-metal free. Cleaning Instructions: Machine wash cold with like colors. Tumble dry low. Do not use fabric softener.